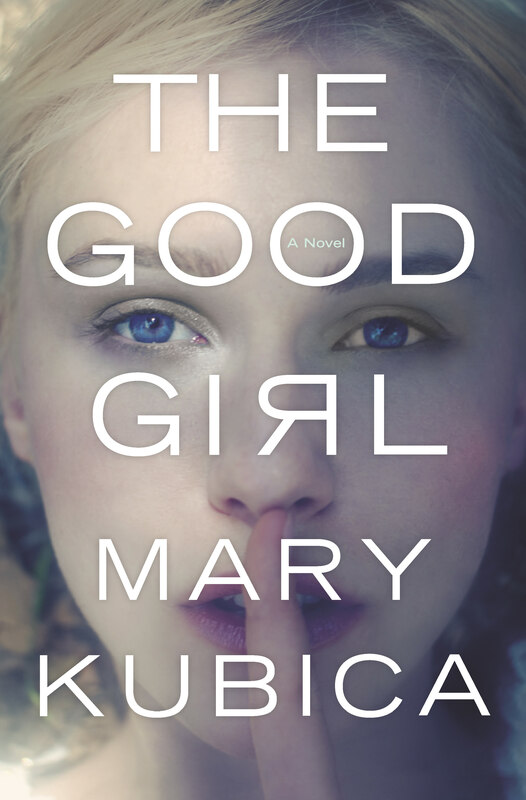 With about a million accolades already brewing for this dark, gripping psychological thriller set alternately in Chicagoland and rural Minnesota, Mary Kubica is here to chat with us about her debut, THE GOOD GIRL (to be released July 29th, 2014). It’s the most perfect summertime thriller. Read it at the pool, the beach, on the plane. You won’t want to put it down. Leslie Lindsay: Mary, I am in the midst of reading THE GOOD GIRL and I must say…I love it! It’s raw, it’s authentic, and highly engaging. Can you explain how you came up with the premise of the book? Mary Kubica: Absolutely. But first let me say what an honor it is to be here with you today at Write On, Wednesday. Thank you so much for having me, Leslie! I’d love to say that there was some big, defining moment or event that sparked the ideas behind THE GOOD GIRL, but the truth of the matter is that it was a very conscious effort. When I began writing, I had this notion of a kidnapping that was not exactly what it seemed. I knew I wanted to write the novel in a non-linear, multi-perspective format, but other than that, I wasn’t entirely sure where the novel would go. The bulk of the ideas came to me as I wrote, and on any given day that I sat down to work, I wasn’t entirely sure what was going to happen in the lives of my characters that day. But I found myself completely consumed by them – thinking of the characters at all hours of the day and night – and feel fairly certain that they’re the ones who told their story to me. L.L. : From what I understand, you wrote this book almost entirely in isolation. Your family and friends didn’t even know you were working on a manuscript. How I wish I could keep something like that a secret! Was it fear of the unknown/fear of rejection that kept your lips sealed? Something else? Mary Kubica: You pretty much hit the nail on the head there, Leslie! I’d definitely say it was the fear of rejection – or rather, the likelihood of rejection – that made me keep quiet about my work-in-progress. I’d been writing since I was a young girl, though as a hobbyist and nothing more. I understood that the chances of having my work published were slim to none. When I began writing, I wrote for me and only me, never imagining that something would become of my work. And so I began THE GOOD GIRL in secrecy, only telling my husband about the project. It wasn’t until I sold the manuscript to Harlequin MIRA that I spread the great news to family and friends – not only had I written a book, but it was going to be published, too! They were certainly surprised! Mary Kubica: When I wrote THE GOOD GIRL, I didn’t belong to a writers’ group, and my creative writing education was limited to one college course that I didn’t particularly like. I didn’t have a beta reader; no one – besides me, of course – read the manuscript before it was sent off to agents. That said, I found my village in the publication process. THE GOOD GIRL would certainly not be what it is today without the tremendous effort of my agent, my editor, and the many other brilliant people at Harlequin Books. I’ve connected in the past year or so with a number of authors – both in person and online – and I’m a member of the Women’s Fiction Writers Association, which has offered much advice and enthusiasm throughout this process. I know authors now who I can go to for questions or lean on for support. Fellow Harlequin MIRA author Heather Gudenkauf is certainly one who must be mentioned; she’s been an amazing mentor to me this past year! L.L. I had to smile when I read somewhere that you fell in love with THE BABY-SITTERS CLUB series by Ann M. Martin…I’m so there! My friends and I devoured those books and then thought we could start our own club. Or at least write like Ms. Martin. Is this when your love of writing began? Mary Kubica: I love this question – and I feel obligated to say that my sister and I did begin our own babysitter’s club back in the day; we printed up fliers and passed them around the neighborhood, and earned ourselves quite a few babysitting gigs! But yes, absolutely, this was the time in my life when I first decided I wanted to me an author. It was a cousin of mine who I accredit with my early love of writing; she shared with me a story she had written when I was about 11 or 12 years old. Until then I had no idea where books came from before they magically appeared in bookstores. They were just there. I’d never really thought much about the author behind the book, but I knew then and there what I wanted to do: I wanted to write books. L.L. : So, Chicagoland…ironically, it’s where we both live. In fact, several recent books have been set there—even ones featured here—what qualities do you feel Chicago authors bring to the literary table? Mary Kubica: This is a great question! I can think of many notable Chicago authors off the top of my head – Veronica Roth and Gillian Flynn are two that come to mind, as well as Lori Rader-Day who you spoke with recently and whose debut THE BLACK HOUR I cannot wait to read – though I think every city and state across the country has its own set of notable, distinguished authors. I might be a bit biased here, but I feel Chicago is a highly cultured city, deeply rooted in Midwestern values, and that the cross between urban, suburban and country can make for a very diverse landscape in literature. Our people are unique, too, and stem from all walks of life, a fact that has likely inspired many remarkable characters. All in all it’s a great city, and I feel very proud of the authors who have come from Chicagoland. L.L. : And then you toss in Minnesota. Funny, cause I lived there, too! In fact, I’ve been to Two Harbors and Grand Marias—not in the winter like in the book—but in “mosquito season.” How did this remote cabin come into play? Mary Kubica: It was really about logistics. I needed a remote wilderness where Colin and Mia could disappear – someplace far enough from Chicago where they wouldn’t be found easily, but close enough that they could drive there. Until recently I had never been to Grand Marais or up the Gunflint Trail and relied solely on research to describe the setting in THE GOOD GIRL. My family did, however, just take a trip to northern Minnesota (Yes, in mosquito season! I believe we went through three cans of Off!). I was dying to see the region in person, and on the eve of book publication, it seemed like the right thing to do. I was thrilled to discover the area was exactly as I had imagined it to be, and so excited to see streets and landmarks that are mentioned in the book in person. We even saw a moose and bear! L.L. : You’re a mom, a wife, a suburbanite. Even an animal shelter volunteer. As a writer and mom myself, I find I’m constantly juggling things—dropping balls, even. I think of characters at dinner and plots while at soccer games. How do you make your writing life possible…and keep all the balls in the air? Mary Kubica: I’ll admit I’ve been dropping more and more balls of late, Leslie. Nothing vital, thankfully, but laundry gets done less and the house is not quite as clean as it used to be. These days my writing life happens between 5 and 7 a.m. Once my kids are up and awake, I pack my writing career away and become ‘mom’. My youngest is in half-day kindergarten; the few hours that he is in school are filled with errands and housework, and volunteering as much as I can at the animal shelter. But my mind is always busy plotting and carrying on conversations with my characters in my head, whether I’m at home or watching soccer games or swimming lessons, or driving the kids to and from school. It’s not easy; I’ll be the first to admit it. A few years ago I was the woman who could do it all, and now I must concede that I can’t do everything. I have to rely more and more on the help of family and friends, and I’m so very thankful to everyone who has stepped up to make my dream a reality. L.L. : I suppose I could go on and on, but I’ll stop with one last question: what’s next? Mary Kubica: I’m finishing up my second novel, which is about a Chicago mother who encounters a young homeless girl waiting beside the ‘L’ with a baby. She feels a strong desire to help this girl with her plight, and as she does, she discovers more about the girl that perhaps should have remained uncovered. Like THE GOOD GIRL, it has plenty of twists and turns along the way that will hopefully keep the reader guessing! Bio: Mary Kubica holds a Bachelor of Arts degree from Miami University in Oxford, Ohio, in History and American Literature. She lives outside of Chicago with her husband and two children and enjoys photography, gardening, and caring for the animals at a local shelter. The Good Girl is her first novel. This is a great interview. I really enjoyed it. Thanks, Ali! The book is even better! Releasing July 29th THE GOOD GIRL from Mira.